Epic Games has began to roll-out the Fortnite Season 7 recap videos for all players. Here’s what it is and how to find yours. Recap videos have become a tradition for Epic Games and Fortnite players since Season 5. These videos aim to give players an insight into statistics of theirs which came to be during Season 7. Fortnite Seasonal Recap videos are only available to those who owned the Battle Pass for that Season. If you did not own the Season 7 Battle Pass, you are not eligible for a Season 7 Recap video. SEASON 7 WAS FULL OF CHILLS AND THRILLS! 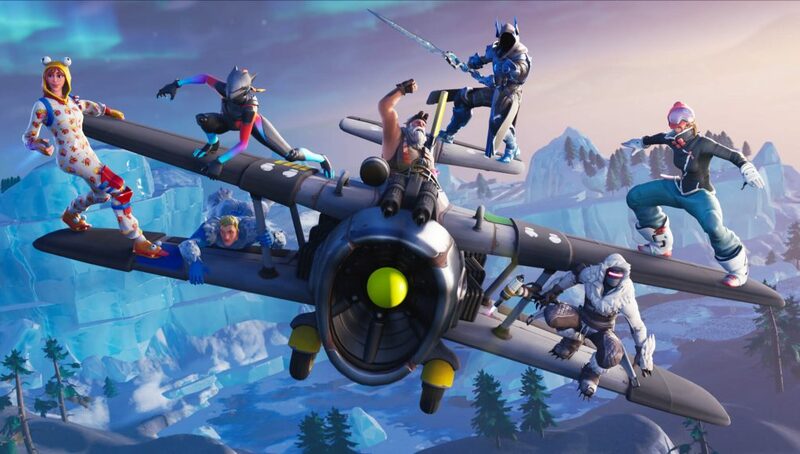 YOU RODE IN STORMWING PLANES, ZOOMED ACROSS THE ISLAND WITH ZIPLINES, AND BATTLED THE ICE KING. Didn’t get your personalized video? The Season 7 Recap video is only available to owners of the Battle Pass. If you would like one next season, make sure to purchase the Battle Pass and complete at least 20 weekly challenges. If you are qualified for a video this season, go here and log in with your Epic Games credentials to see your recap video! If you are eligible to receive a Fortnite Season 7 Recap video, you are likely to receive an email from Epic Games with the subject Your Season 7 Recap Video! Did you attend the live in-game Marshmello concert? Did you get a Fortnite Season 7 Recap video? Let us know the most impressive statistics you had!